The name might suggest she's Irish, but Clover's actually from Milwaukee, WI. With no Irish heritage, Clover feels her celebration of St. Patrick's Day is free to be completely non-traditional. No corned beef and cabbage on the menu here at the warren (well, okay, labbits kinda like cabbage). 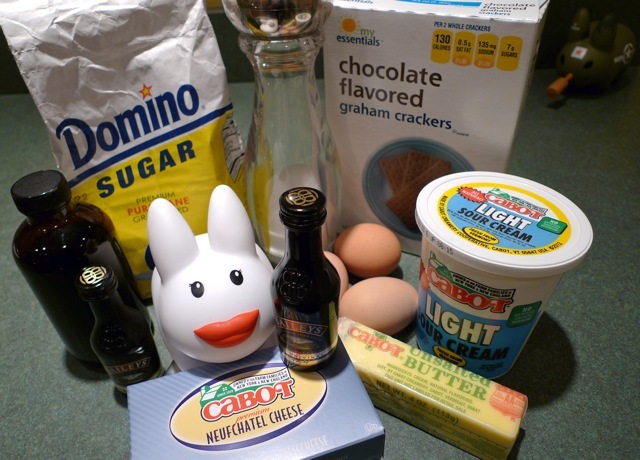 Her soda bread is spotted with raisins (traditional soda bread has only 4 ingredients and none of them are raisins) and although she eats her soda bread with real Irish cheddar, she's not sure the Irish were into cheesecake. 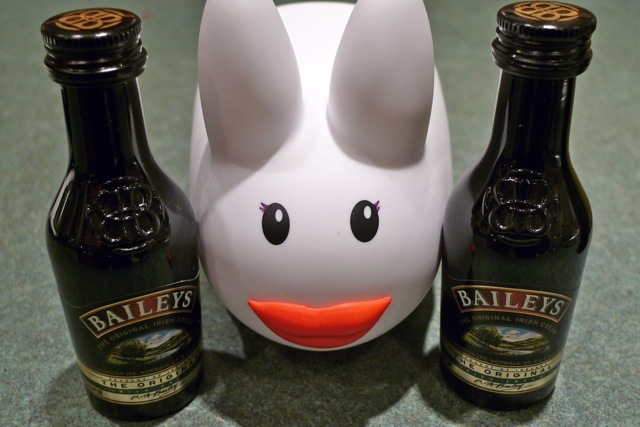 Clover enjoys Baileys Irish Cream - in her coffee, over some ice cream - so why not in some cheesecake? 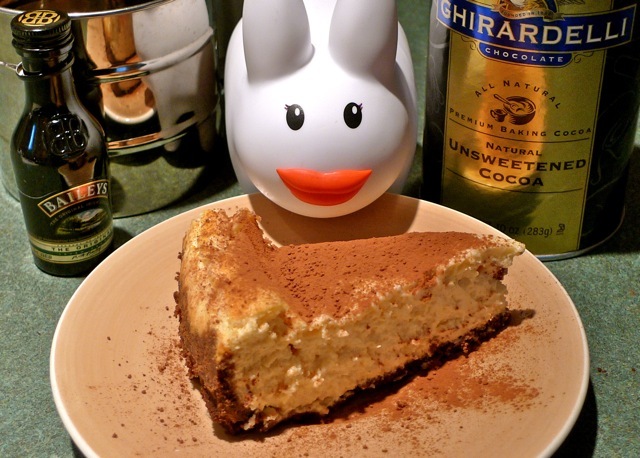 She took a basic cheesecake recipe and added some Baileys. Result? 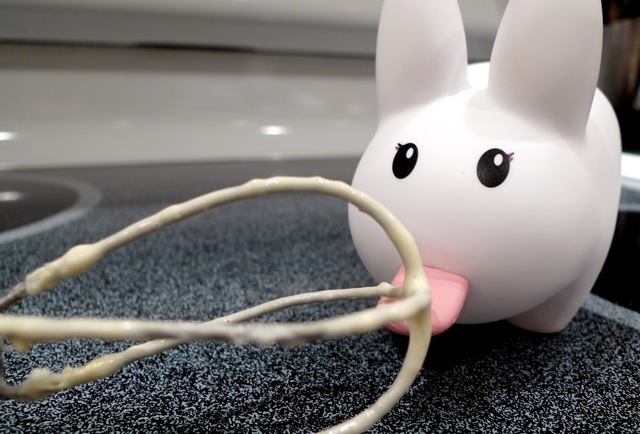 Well, based off licking the batter from the whisk, it's amazing. Will you be celebrating with a traditional Irish feast today? Or are your culinary leanings more towards food dyed green and green beer? Whatever your tastes, Clover wishes anyone with a bit of Irish blood a Happy St. Patrick's Day. Preheat the oven to 350°F degrees. Grease a 9" springform pan and set aside. 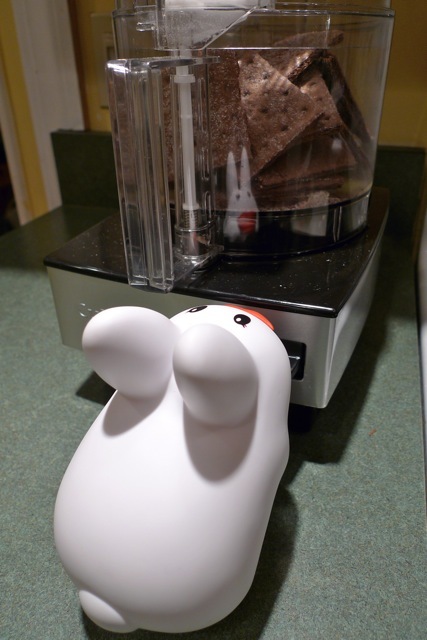 In a food processor, mix together the graham crackers and butter until crackers are finely ground. Press crumbs into the bottom and along the sides of the pan. Put the prepared pan into the refrigerator while you prepare the rest of the cheesecake. In a large bowl, cream together the cheese and sugar until smooth. Beat in the eggs one at a time, scraping down the sides of the bowl after each egg to ensure the batter is well mixed. Mix in the sour cream, vanilla extract and Baileys Irish Cream. 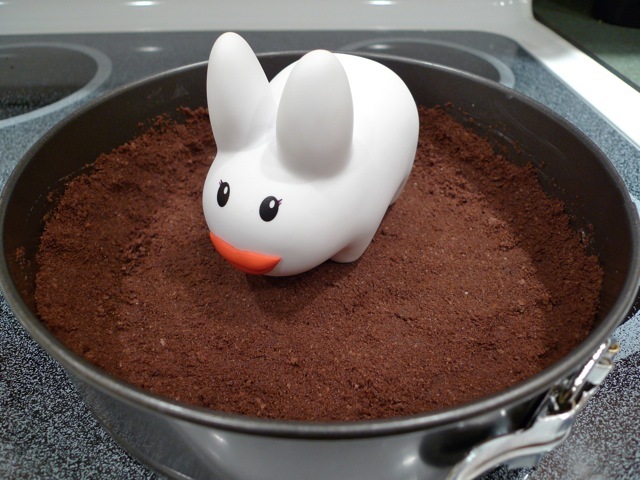 Gently pour the batter into the prepared springform pan. Bake in oven at 350°F for 45 minutes or until the edges pull away from the pan and the center is still slightly jiggly. Remove from oven and place pan on a wire rack to allow the cake to cool down. When the cake and pan has cooled down (this may take a few hours) cover with foil or plastic wrap and refrigerate for 8 hours or overnight. Serve with a dusting of unsweetened cocoa powder. To freeze: Do not freeze your cheesecake with any toppings. Instead top the cheesecake when thawed and ready to serve. Slice the cooled cake with a spatula. Carefully transfer slices to a cookie sheet covered with parchment or wax paper and place in the freezer for an hour. Once the slices have frozen, wrap each slice in heavy duty foil or plastic wrap, and store in a freezer bag with the date. Slices will be good for three weeks. To serve, thaw in the refrigerator overnight, or on the counter for 30 minutes. I didn't know that! Well...turns out the missing bottle wasn't in Blue's possession.